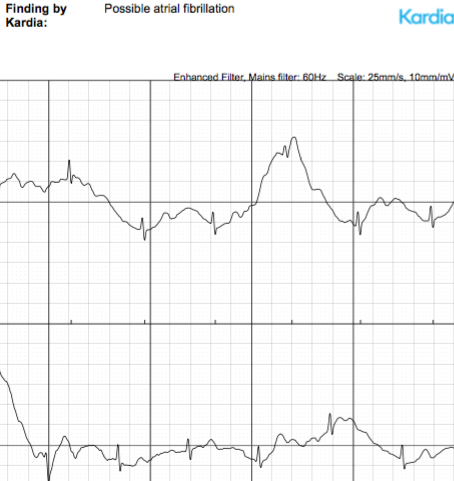 The AliveCor/Kardia mobile ECG device is a really nifty way to monitor your heart rhythm. 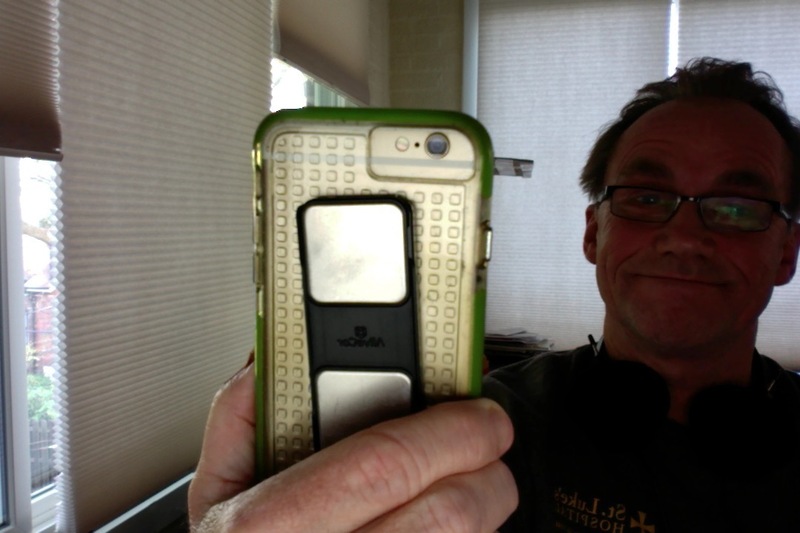 Since acquiring the third generation device (which sits within or on my iPhone case and communicates with a smartphone app) I have begun routinely using it on my patients who need a heart rhythm check during office visits. It saves us the time, inconvenience (shirt and bra removal) and expense of a full 12-lead ECG which I would normally use. 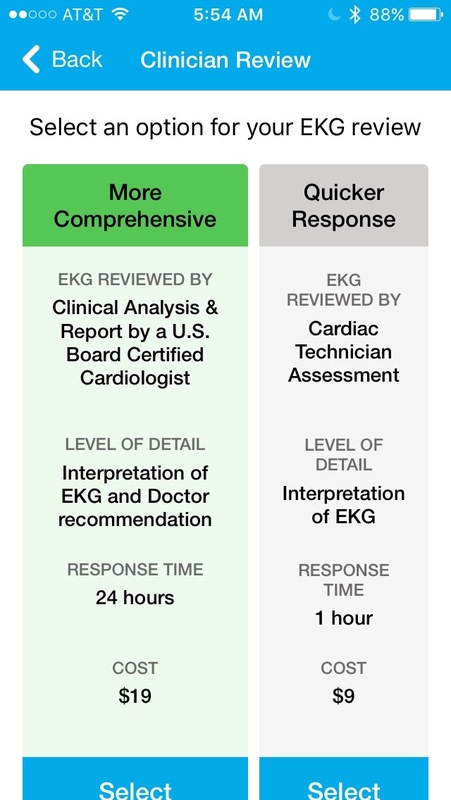 In addition, I’ve convinced several dozen of my patients to purchase one of these devices and they are using it regularly to monitor their heart rhythms. Typically, I recommend it to a patient who has had atrial fibrillation (Afib) in the past or who has intermittent spells of palpitations. Some make daily recordings to verify that they are still in normal rhythm and others only make recordings when symptoms develop. 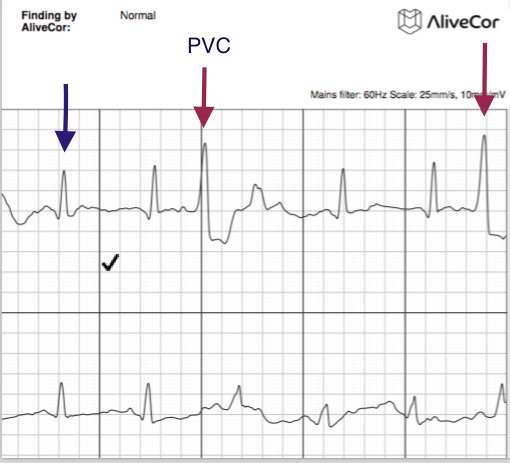 Once my email invitation request is accepted I can view the ECGs recorded by my patients who have AliveCor devices as I described here. 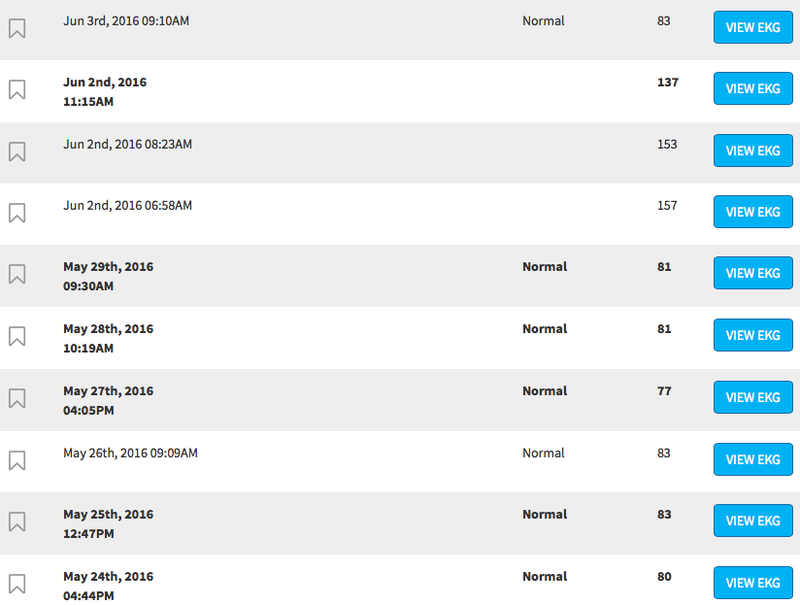 This monitoring has in many cases taken the place of expensive, obtrusive and clumsy long term event monitors. In general, it has been very helpful but the device/app makes occasional mistakes which are significant and sometimes for certain patients it does a poor job of making a good recording. 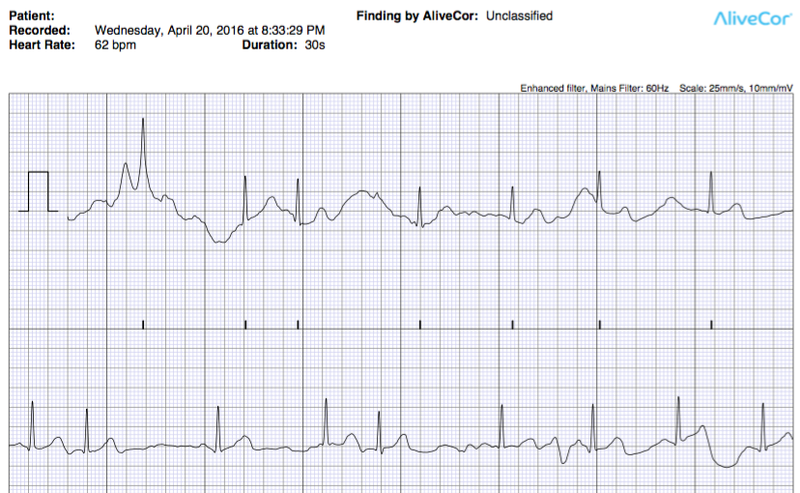 One of my patients, a spry ninety-something year young lady makes an AliveCor recording every day, since an episode of Afib 9 months ago. After a month of normal daily recordings, she suddenly began feeling very light headed and weak with a sensation that her heart was racing. 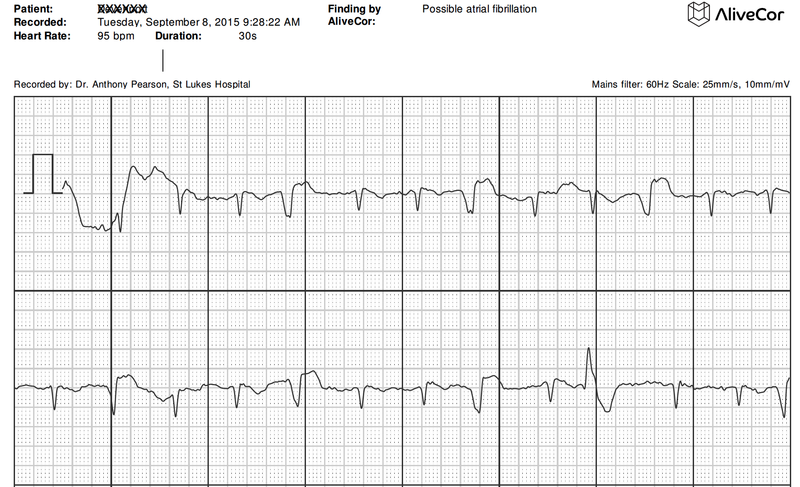 She grabbed her trusty iPhone and used the AliveCor device attached to it to make a recording of her cardiac rhythm. This time, unlike the dozens of other previous recordings, the device indicated her heart rate was 157 beats per minutes , about twice as fast as usual. After 5 hours her symptoms abated and by the time of her next recording she had gone back to the normal rhythm. She made two other recordings during the time she felt bad and they both confirmed Afib at rates of 140 to 150 beats per minute. 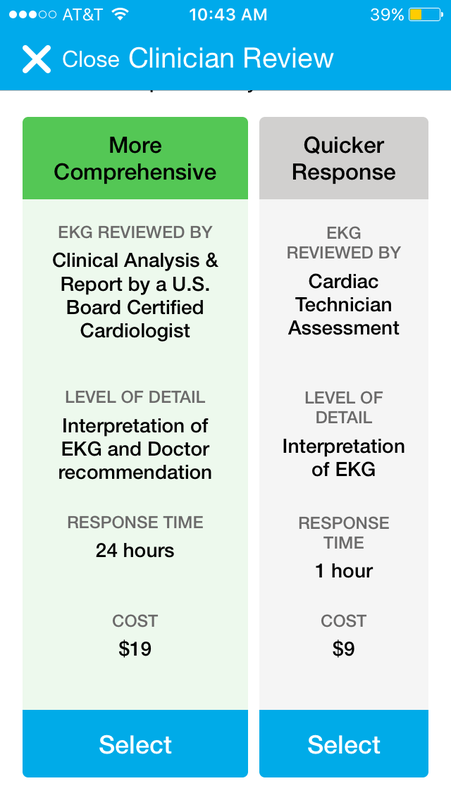 AliveCor/kardia users have the option of having their recordings interpreted for a fee by a cardiologist or a technician. 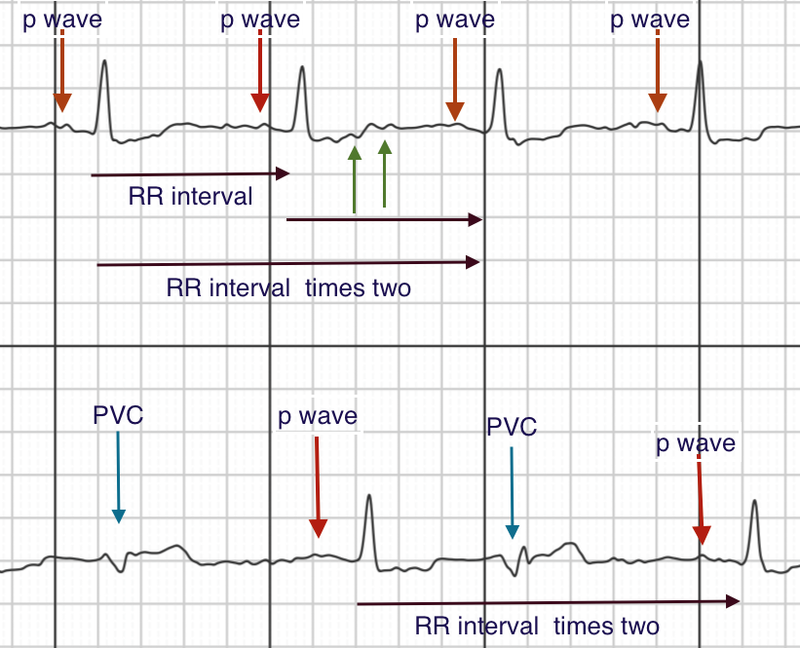 My patients can alert me of a recording and I can go online and read the ECG myself and then contact the patient to inform them of my interpration of their heart rhythm and my recommendations. 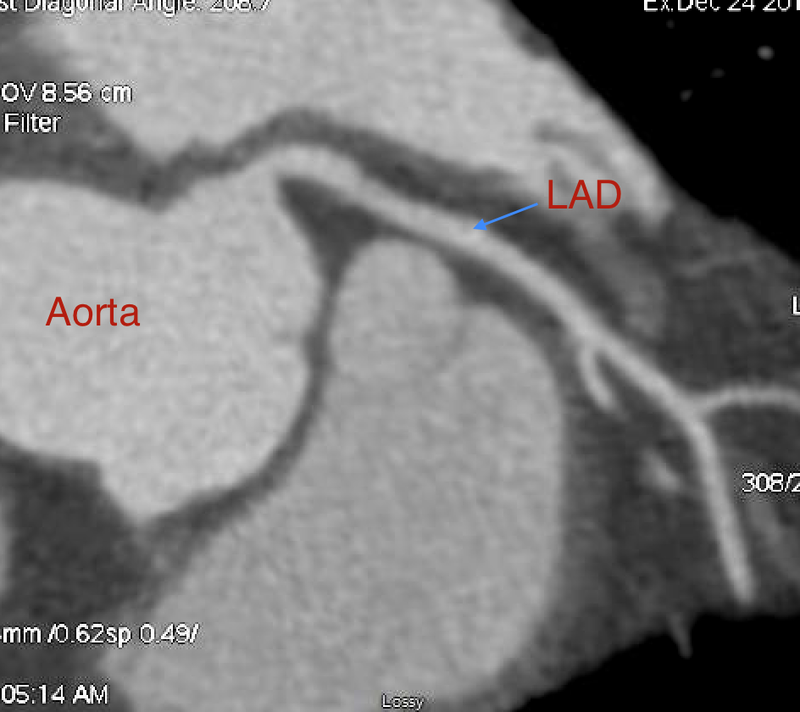 Another patient made the recording below: Although she is at high risk of having a stroke during the times she is in Afib, we had been holding the blood thinner I had started her on because of bleeding from her mouth. I had instructed her to take daily recordings of her rhythm with the AliveCor until she was seen by her dentist to evaluate the bleeding. 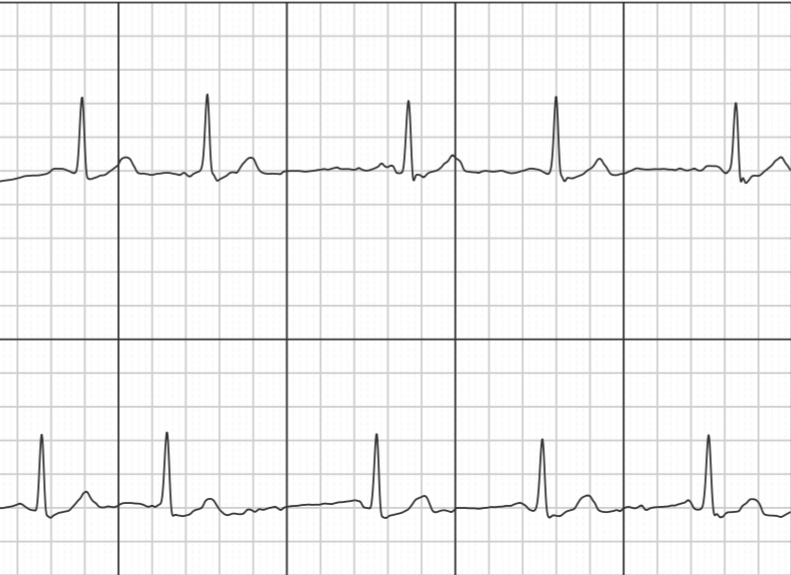 In this case, the AliveCor performed appropriately, identifying correctly the presence of Afib which was the cause of her nocturnal symptoms. 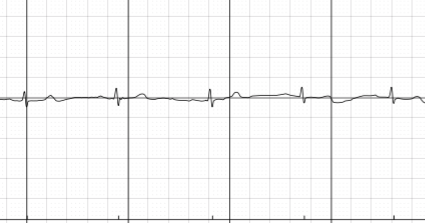 A young woman emailed me that her AliveCor device on several occasions has identified her cardiac rhythm during times of a feeling of heart racing and palpitations as “possible atrial fibrillation.” When she sent the recordings in to AliveCor to have a paid interpretation, however, the recordings were interpreted as sinus tachycardia with extra beats. 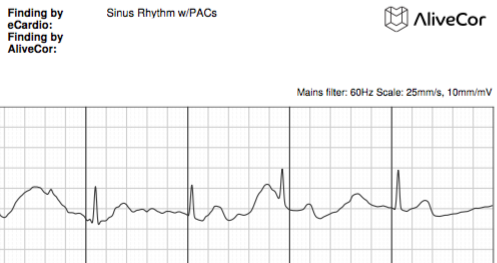 Indeed , upon my review her rhythm was not Afib. 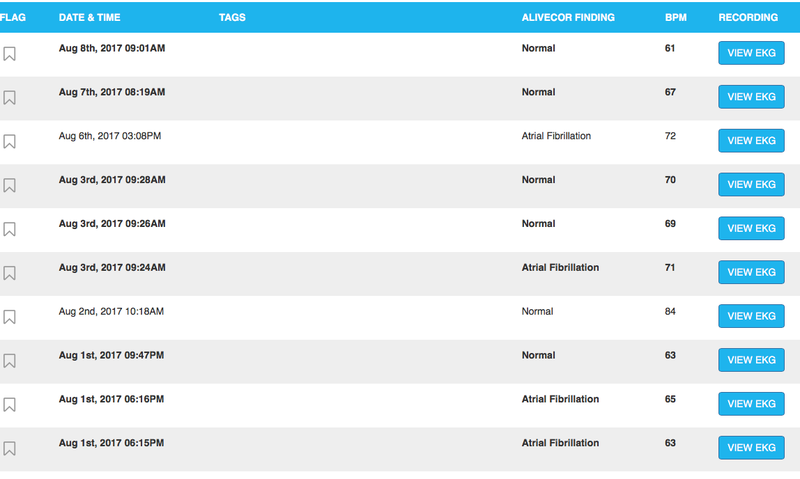 Clearly, when the device misidentifies Afib, this has the potential for creating unnecessary anxiety. 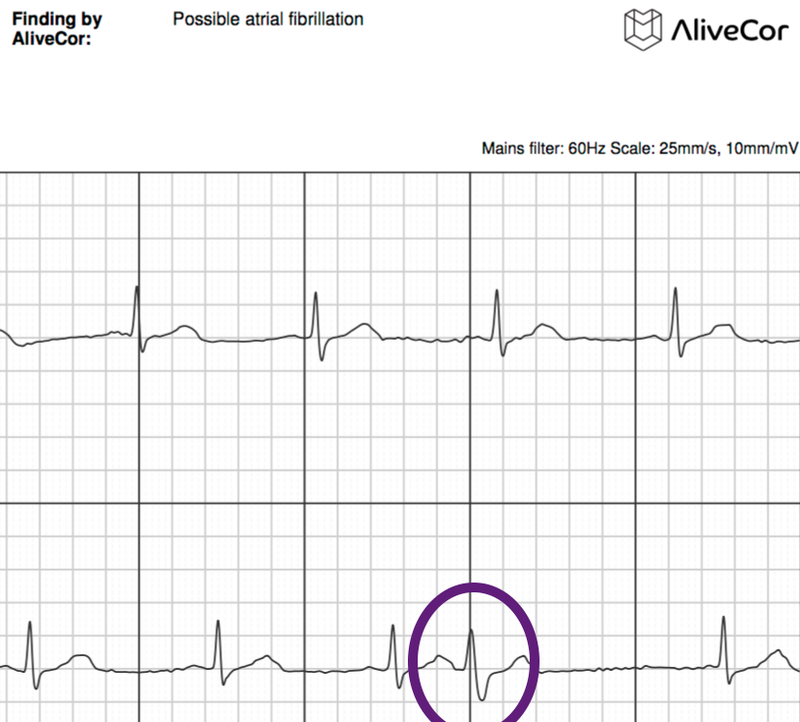 It is not uncommon for a full, 12-lead ECG done in the hospital or doctor’s office by complex computer algorithms to misinterpret normal rhythm as Afib so I’m not surprised that this happens with AliveCor using a single lead recorded from the fingers. 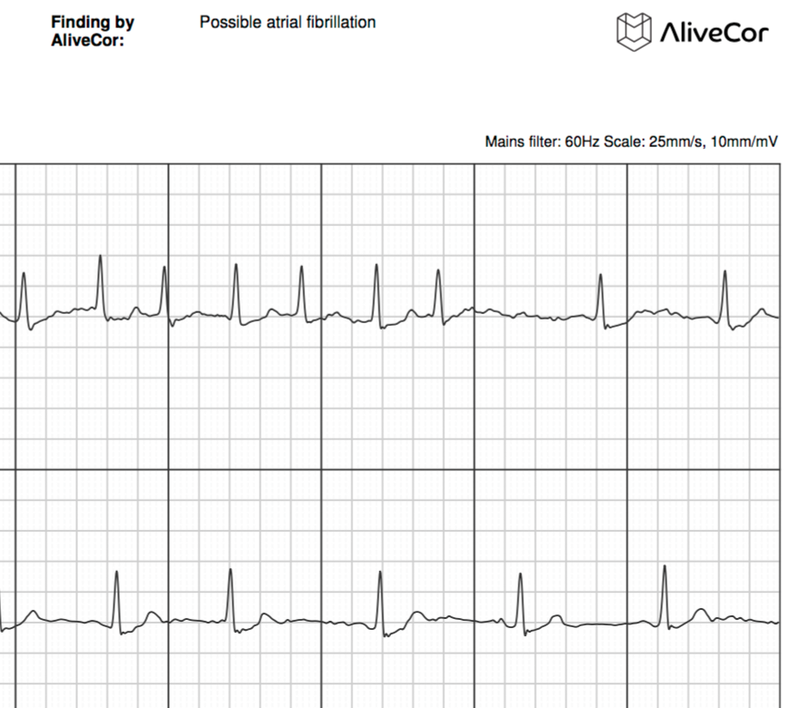 The young woman was advised by AliveCor to try a few things such as using the device in airplane mode, sitting still and wetting her fingers which did not help. She was sent a new device and the problem persisted. She finds that putting the device on her chest gives a better chance of success. 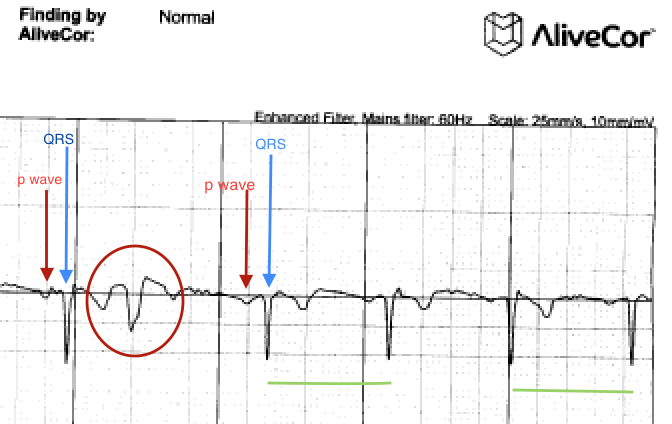 In this example, although I can clearly see the p-waves indicating normal sinus rhythm, the voltage is too low for the device to recognize. 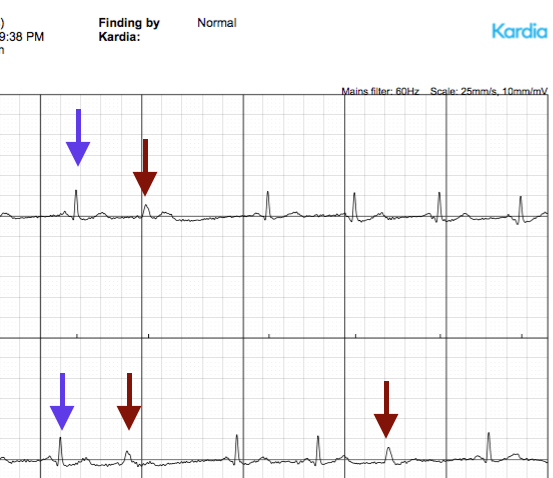 I’m interested in collecting more AliveCor/Kardia success and failure stories so please post yours in the comments or email me directly at DRP@theskeptical cardiologist.com. In addition, I’m interested in any tips AliveCor users have to enhance the success of their recordings: What techniques do you use to make the signal strength and recording better? What situations have you found that tend to worsen the signal strength and recording quality? P.S. 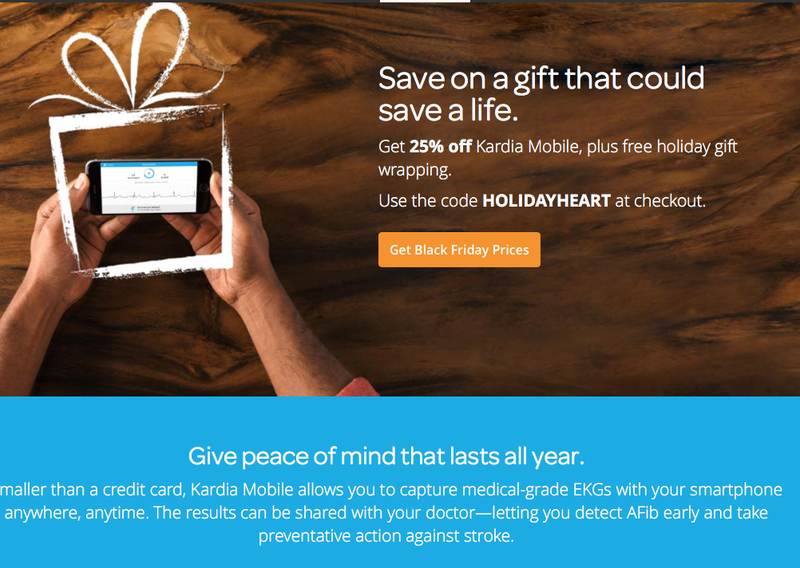 Tomorrow is Cyber Monday and I note that Kardia is running a “Black Friday” special through 11/28, offering the device at 25% off. P.P.S. Kardia, You should change the statement on your website, “90% of strokes are preventable if you catch the symptoms early.” makes no sense. I think you mean that some strokes are preventable (I have no idea where the 90% figure come from) if one can detect Afib by utilizing a monitoring device to assess symptoms such as palpitations or irregular heart beat.